Welcome to Fort Worth Filhos de Bimba! 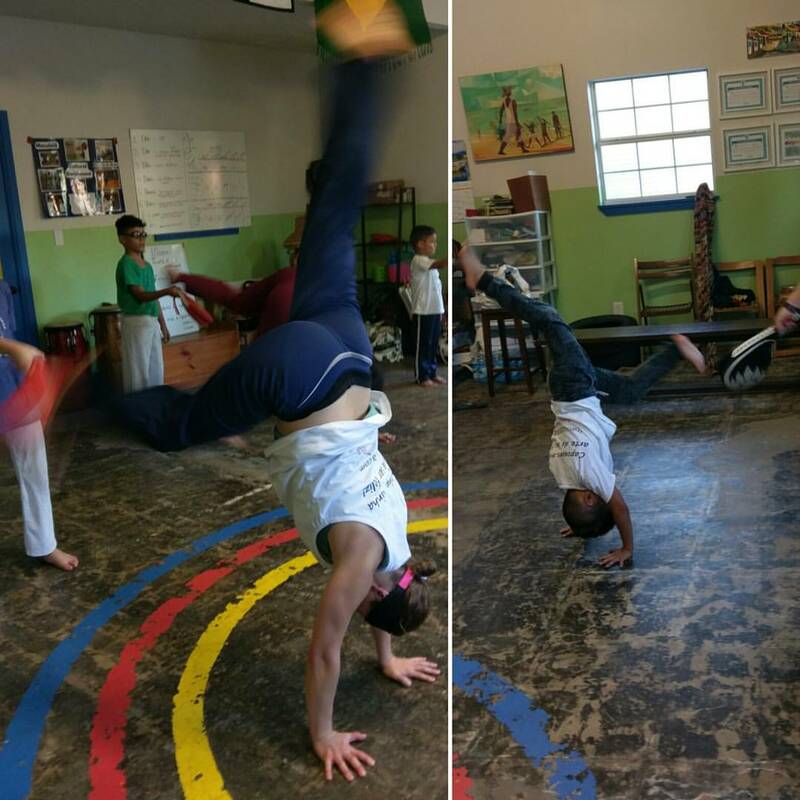 We are a cultural school dedicated to spreading the Brazilian art of Capoeira Regional, led by Professora Borboleta. The 2019 SPRING SCHEDULE is available! SCHEDULE YOUR Beginner’s INTRO CLASS TODAY!! 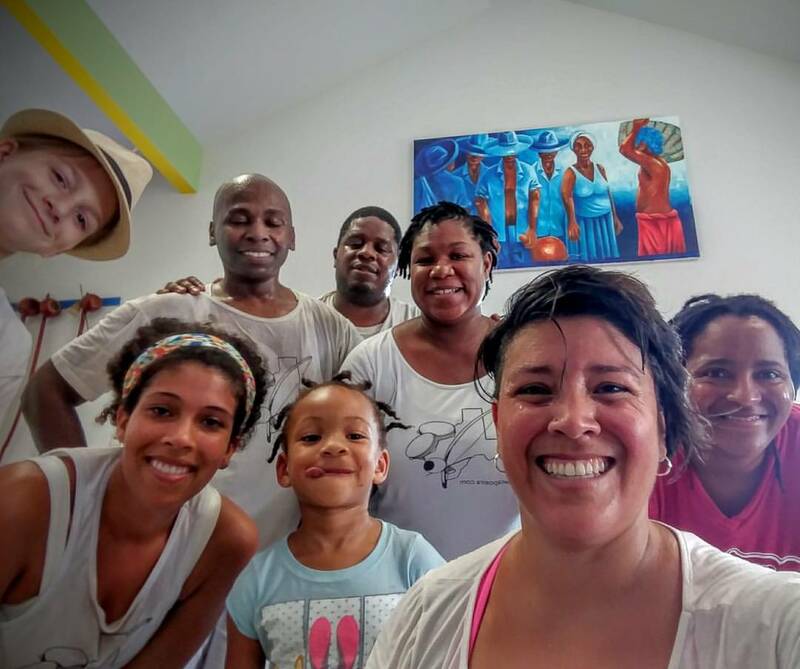 We have classes for all ages and all levels. Please contact us for the latest schedule, tuition rates, or to schedule your intro class. Copo de Leite (right) and Faisca (left) work on Au Batido, building strength and balance with hard work and careful training. 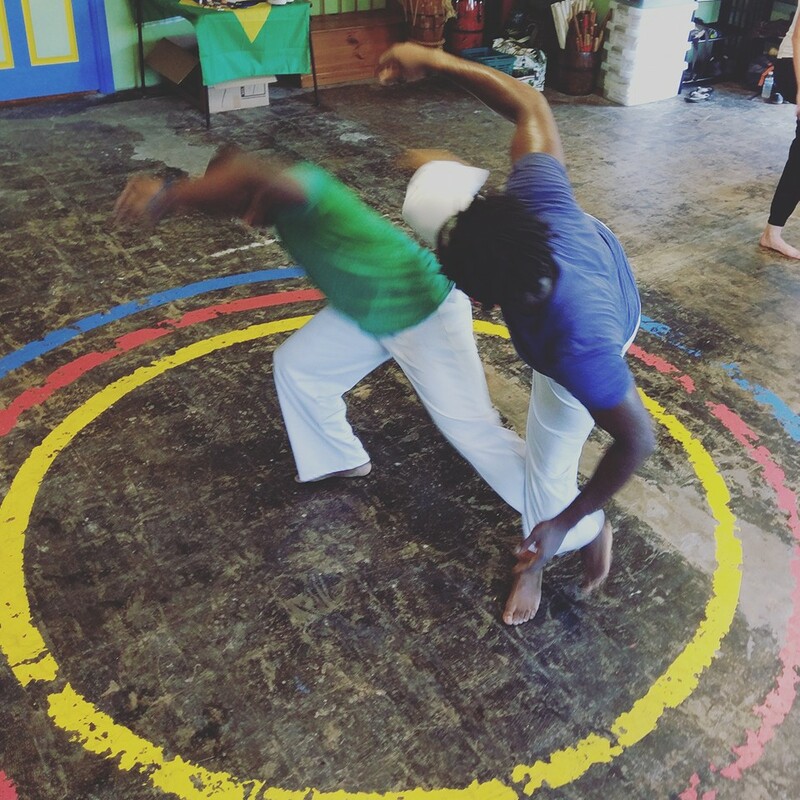 Capoeira Regional is a strategic, technical game of strikes and take-downs. Corvo (right)and Estiloso (left) practice attacks and counter-attacks. Community is a valued part of Capoeira Regional. We offer a free community class once a month, and do regular work with schools, libraries, and other city programs to promote cultural enrichment to local youth. 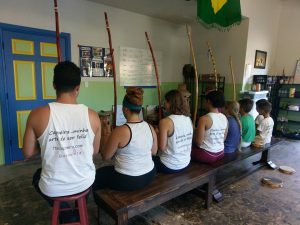 Fort Worth Capoeira offers instruction in Folkloric Dance and Percussion, Music and Portuguese. Students practice the berimbau, a percussive instrument from West Africa that is integral to the music of Capoeira Regional. Call to schedule your first class today!